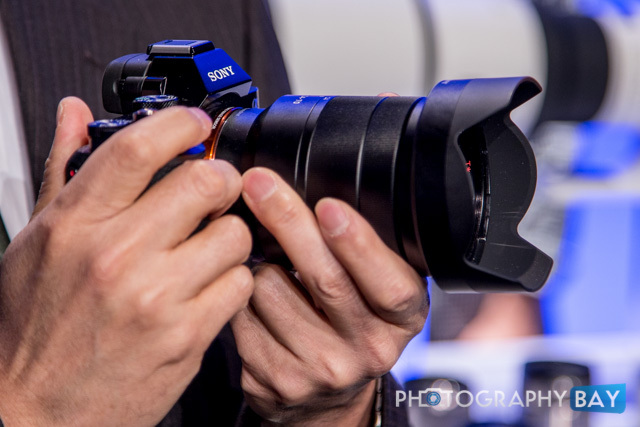 New rumors suggest that Sony is primed to launch a 50MP-ish (some sources say 46MP) full frame camera in early 2015. Sony’s 36MP full frame A7R has been highly regarded for its image quality and affordable price. Likewise, the 36MP Sony sensor has been put to good use in the Nikon D810 and D800 models. It’s like likely that we would see this sensor appear in the Sony A7 line or a rumored A9 line of mirrorless cameras. Additionally, given Nikon’s affinity for Sony sensors in its full frame DSLRs, it would not be a stretch to imagine a 50MP Nikon full frame camera arriving at some point in 2015. How about a 50MP Nikon D4x? Anyone? This could get exciting with rumors of Canon launching a high-resolution DSLR that uses a multi-layer sensor in the same time frame. Canon’s laziness and inabilities can’t catch a break. I honestly wouldn’t be surprised to see canon putting sony sensors in their dslrs soon. EVERYBODY else is, keep up or fade away canon. Thought the 645Z already carries a 50MP Sony sensor? Not really new? It’s a medium format sensor in the 645Z. This rumor concerns a full frame 35mm format sensor – something we’ve not seen at that resolution yet.